Prince Creek is a master-planned community that surrounds the TPC Myrtle Beach, or Tournament Players Club golf course in Murrells Inlet. Designed by Tom Fazio, these immaculately groomed greens are lush with ponds, lakes, and trees like red oaks, cypress, and pines. It is home to all sorts of plant and animal life, and you may share your backyard with egrets, great blue herons, swans, otters, and other natural wildlife. 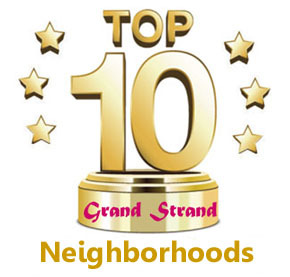 Prince Creek's residents live in harmony with nature, yet they are just a short drive to shopping, dining, great schools, and all that the Grand Strand has to offer. Prince Creek and Prince Creek West's subdivisions are diverse and offer homes for most every budget. Some are gated, some offer water views, some are on the golf course. Amenities of the community include a clubhouse, pools, tennis courts, fitness centers, boating facilities, access to local gyms, a post office, grocery stores, and just about everything one could ask for. Homes for sale in Prince Creek include luxury mansions, great family homes, a retirement community, condos, and townhouses. The Bays of Prince Creek are private, gated neighborhoods with a wide variety of home options. They have their own amenity center with a clubhouse, fitness room, a pool, soccer field, baseball field, tennis courts, basketball and volleyball courts. The amenity center also provides a wonderful outdoor fireplace and several outdoor fire pits. A sought-after Bay community with homes from $150-$300k. Willow Bay homes are surrounded by several wooded conservation areas, and there are 13 acres of lakes throughout the community. Homes range from $200-$500k. Other Bay communities include Laurel Bay, Waverly Bay, Johns Bay Townhomes, and Palm Bay at Prince Creek. 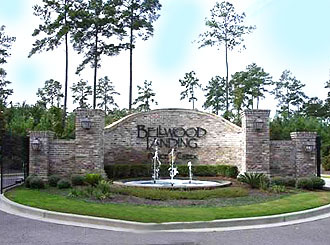 Bellwood Landing is a gated community located on Collins Creek, with 102 homesites. Many of the residential lots in Bellwood Landing overlook a lake, or border a natural conservation area for privacy. Some homes have direct access to the Intracoastal Waterway and prices range from $200-$600k. Collins Creek Landing is a gated community of vacant lots and homes for sale that ranges from $300-600k. Some homes have direct access to the Intracoastal Waterway and the community has on-site boat storage. Creek Harbour is a gated community located off Wilderness Road in Murrells Inlet, with beautiful brick homes as well as large lots available up to three acres. Some homes have direct access to the Intracoastal Waterway and the neighborhood has on-site boat storage. Prices range from $400-$900k. Linksbrook at Prince Creek - A Centex community, Linksbrook offers the buyer a chance to purchase established Centex homes, or to build a new home with one of Centex's home packages. Homes range from 1800 to 2700 sq ft, and Linksbrook has its own clubhouse, pool and tennis courts. Creekhaven at Prince Creek West - Creekhaven is a Ryland Home community with lots and homes available from $200-300k. The community now has new construction. Three brand new communities being developed at this time include a Ryland Homes neighborhood called Wilderness Pointe, (Visit our New Homes Website) Hunters Grove, and Longwood Bluffs of Prince Creek. 115 homesites will be built here, just across from Bellwood Landing. This is in the development stage in early 2016. 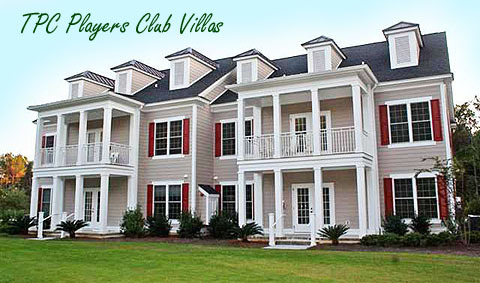 Hunters Grove is a gated community just off Prince Creek Parkway featuring 73 residential lots. There are several homes in the 200k's, and lots to build your own. They have an established swimming pool amenity available. New for 2017 is a neighborhood being developed by Sabal Homes, Longwood Bluffs in Prince Creek West. These are energy-efficient and highly customizable homes and duplexes with every upgrade. 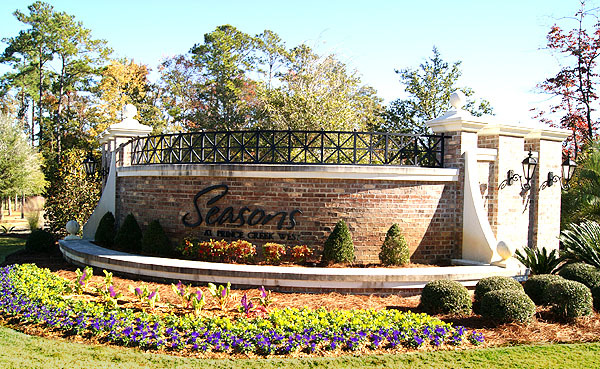 The Seasons retirement community is a sensational and sought-after gated neighborhood for active adults over the age of 55! Seasons offers all of the comforts of home while providing a wonderful setting for healthy retirees to gather and participate in many amenities and activities designed to keep seniors active and fulfilled. These perfect retirement homes range from $150-$400k. Another active adult community that is being developed is called The Garden Homes at Stonegate. See the page for photos and information. Condos available in Prince Creek include the TPC Players Club Villas, Stonegate, and Cold Stream Cove. If you would like to visit Price Creek and tour the homes, condos, or lots for sale, contact us and we'll take you on a tour of all this ever-growing community has to offer! There are over 200 available homes for sale in Prince Creek. Below is just a sampling of the newest listings. We will be glad to help you find just what you're looking for! Listing courtesy of Keller Williams MB S. Realty , The Marrone Group. Listing courtesy of The Lachicotte Company of SC , Coastal Key Group. Listing courtesy of RE/MAX Southern Shores GC , Hans Neugebauer. Listing courtesy of Realty ONE Group Dockside , Josh Poole. Listing courtesy of Watermark Real Estate Group , Gary Falconer. Listing courtesy of Select Premium Properties, Inc , Stephanie Smith. Listing courtesy of BRG MI , Shine Team.